The spiritually blind rely on routines and rituals to please God instead of trusting in the Savior. Seeing is Believing. My aim this morning is simply this: I want to identify the pitfalls that people fall into concerning the identity of Christ so that you and I will understand the identity of Jesus and, secondly, love Him, live for Him, and obey Him. If you have your Bibles, turn with me to Mark 8 and we’ll pick up in verse 1. I want to introduce you to four different sets of people this morning. This first set, you’ll notice, are the sensational seeking Gentiles. The second set are the sign seeking Pharisees. The third set are the hard hearted disciples. And then, finally, the sight giving Savior. We’ll see Jesus as the last one we’ll meet. 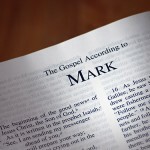 Mark 8:1. “In those days, when again a great crowd had gathered, and they had nothing to eat, he called his disciples to him and said to them, ‘I have compassion on the crowd [notice Jesus forcefully speaking her] because they have been with me now three days and have nothing to eat. And if I send them away hungry to their homes, they will faint on the way. And some of them have come from far away.’ And his disciples answered him, ‘How can one feed these people with bread here in this desolate place?’” You would think they would remember what just happened a few moments ago, but they seemed to have forgotten. “And he asked them, ‘How many loaves do you have?’ They said, ‘Seven.’ And he directed the crowd to sit down on the ground. And he took the seven loaves, and having given thanks, he broke them and gave them to his disciples to set before the people; and they set them before the crowd. And they had a few small fish. And having blessed them, he said that these also should be set before them. And they ate and were satisfied [that’s a key word there]. And they took up the broken pieces left over, seven baskets full. And there were about four thousand people. And he sent them away. And immediately he got into the boat with his disciples and went to the district of Dalmanutha.” Now, commentators believe that’s Magdala. It could be present day Magdala. Jesus is even saying Himself that there are two different feedings. So, let me give you the similarities and the differences between the two. Both feedings occur in the desert. Both feedings have to do with bread and with fish, as we’ll see. In the feeding of the 5,000, the disciples are the ones who are upset over the price of bread for the large crowd. In the feeding of the 4,000, they are worried that the crowd has no place to buy bread. Just a little different. In both instances, Jesus is the one who asks the disciples, “Do YOU have anything to feed the crowd?” in order to show their helplessness. We see this in both. In the second feeding, the number drops from 5,000 to 4,000, but in the second feeding, the number of loaves go up from five to seven. Then we’ll see the significant differences, the numbers of baskets are different. How many baskets in the first feeding left over? Twelve. How many in the second? Seven. Now, that’s significant. Here’s the major difference or two major differences in the feedings. The first feeding occurs in the Jewish region of the Galilee, known as the land of the Twelve. The second feeding, which we’ll see this morning, occurs in the Decapolis, which is a predominately Gentile region filled with pagan people. Another instance we’ll see that’s very different; in the feeding of the 4,000, Jesus is the prominent figure. He is actually the one directing the events. In the feeding of the 5,000, he is responding to the events. In essence this is happening. In this feeding, Jesus is speaking in the first person. You have to follow me here. In the feeding of the 5,000, the story is a narrative written about Jesus in the third person. It’s almost as if the story is being told about Jesus. In the feeding of the 4,000 Jesus is passionate, He’s directing attention, he’s initiating action. “Robby, why do you say that?” This is why. What’s interesting is this. The first narrative is about Jesus. The second one, Jesus is directing it to show that he has gone to the Gentile region to seek out these pagan individuals in order to feed them, in order to show that Jesus Christ has compassion on the people. 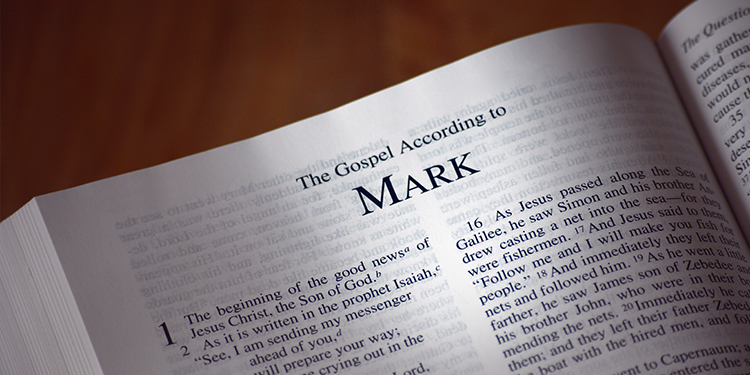 Now, who’s the audience of the book of Mark? Who is Mark writing to? Gentiles. Romans. And so, Mark is saying Jesus was the one who initiated the action to go to the lost people of the Gentile region or the pagans. It shows us from the text that Jesus loves all people, all races, all tribes, all colors, all nationalities, all backgrounds. Aren’t you glad about that? Aren’t you glad about that? I mean, Jesus loves all people and that’s the point of this feeding. Jesus Christ has compassion on the people. But the people are not there to serve Jesus as Lord. The people are not there to make him king of their life. The people are there to get a need met. They want to see Jesus perform the miraculous. They want to be entertained. They want Jesus to feed their desires. And we see a group of sensational seeking Gentiles. But then it gets even worse. Jesus moves to the area of Magdala or Dalmanutha, and then we see, secondly, the sign seeking Pharisees. Look at it in the text. Verse 11. They came out to Jesus and they were looking for a sign from heaven. Now, in order to understand the motives of these individuals, you have to look at the words in the Greek. Let me just explain a few of them. Notice that word came. The Pharisees came. That word’s better translated as came out. It’s the idea of a military brigade walking in perfect formation toward Jesus. They came out towards Him. Notice the second word. They argued. This is to mean someone who vehemently opposes another individual and then they argued in order to test Him. Do you see that word? That word test is to prove one’s worth. It’s another word to mean to determine one’s character. They’re not giving Jesus a pop quiz in order to test the knowledge he has about something. These men and women had previously come to their own conclusion as to who Jesus was and they were out to discredit him. Do you see that? They were not trying to gain insight from Jesus. They were trying to disprove him. What are they looking for? Look what the text says. They’re seeking a sign from what? Did you see it? From heaven. This is kind of odd, because you would think up to this point that they have signs from heaven. But they’re not asking for another miracle. They’re wanting Jesus to prove his true identity. This is really baffling because this is the last miracle Jesus will perform in that region before he heads to the cross, to go to Jerusalem to die for the sins of all the world. So we know this is one of the last miracles. And what’s interesting is you would think they would have gotten it at this point. I mean, Jesus healed the paralytic right in front of their eyes. He healed Peter’s mother-in-law. They probably heard about it. He healed a young girl. He cast out a demon from a dumb, deaf man. He gave sight to the blind. He did all these miracles in front of them, but they wanted something more. See, they wanted Jesus to prove that he was the Messiah. To the Jewish mind, the Messiah was supposed to conquer the Gentiles and restore the Jewish people to be king over the world, to rule the world by destroying the Gentiles. That’s what they want. They want Jesus to prove to them that he’s going to destroy the Gentiles. Isn’t it ironic that right before they ask this question, Jesus performs a miracle of feeding in a Gentile region? Isn’t it ironic? Think about it. I mean, it’s no accident that this question is right after that feeding and I think what Jesus is saying to them without saying is, “I didn’t come to conquer the Gentiles. I came to include the Gentiles into the fold to give them life through me, not death by me by dying on the cross for all the sins of the world. Now the English version of this translation misses the second part of this verse. It’s actually not a statement. It’s not saying, “No sign will be given to this generation,” it’s actually a slogan that was being said at that point. Jesus is saying in the Greek, “If a sign be given to this generation.” Watch what one commentator says. Follow this. “This oath is usually followed by the words ‘may God strike me down’ or ‘may I be accursed by God.’” If a sign be given to this generation. Jesus is saying here, “If a sign is to be given to this generation, then may I die.” That’s what he’s saying. And basically what he’s saying is this, “You’re not going to get a sign. You’ve already had signs. You guys are beyond that point.” You know what the point is here? If you’re following the Lord Jesus Christ because of what he can give you, you’re following for the wrong reasons, right? If you’re following the Lord Jesus Christ because of what he can do for you, then you’re also following the Lord Jesus Christ for the wrong reasons. You’re no different than the sign seeking Pharisees. You’re no different than the selfish, sensational seeking Gentiles. In the Old Testament, leaven was connected with corruption or evil. It’s the idea that yeast or leaven is an ingredient that is put in dough in order to make it rise and it gives it that flakey, soft texture that we like to eat. And what happens is this. Jesus is saying that in order to do this, you have to understand the context of yeast. What you do with yeast is you put yeast in a container, you add juice to the yeast ball in order to ferment it, in order to keep it ready, and then you add new flour and new mixture to create more bread. That’s how you do it. The old lump is added to new material in order to make it better. And what happens is this. If the yeast is contaminated in any way and you add it to new material, it will infect and infest the whole thing. It will contaminate and poison the whole lump. And that’s what Jesus says. The Pharisees, if you hang around these guys, if you hang around negative people, they’re going to cause you to be negative as well. Look at verse 17. “Why are you discussing the fact that you have no bread?” Jesus is saying there’s something bigger to the feedings than what you saw with your own eyes. See, they were looking materially. Jesus is speaking spiritually. Come in real close. Watch this. “Do you not yet perceive or understand? Are your hearts hardened?” In the Greek, it’s not your heart happened to be hardened; it’s you hardened your own heart. “‘Having eyes do you not see, and having ears do you not hear? And do you not remember? When I broke the five loaves for the five thousand, how many baskets full of broken pieces did you take up?’ They said [What?] ‘Twelve.’ [That’s important. Underline that.] ‘And the seven for the four thousand, how many baskets full of broken pieces did you take up?’ And they said to him, ‘Seven.’” Jesus is wondering why the disciples missed the point. Now, here’s the million dollar question. Why would Jesus perform two feeding miracles that almost mimic each other in the land of the Jewish people and also in the land of the pagans? That’s the million dollar question. And in order for you and I to understand this, we have to understand geography. We have to understand the lay of the land. See, Jewish people don’t think in words, they think in pictures. They think in visual images. Here’s a picture of Israel on the screen. On the top part is the Jewish land, which is called the Land of the Twelve. Now, why is the Jewish region called the Land of the Twelve? Because the what? Twelve tribes of Israel migrated and lived there. So you have the Land of the Twelve. The bottom half you see over to the right is called the Decapolis, but it’s also called the Land of the Seven and this is why. When Joshua came into the land of Israel, he drove out the seven pagan nations that went into the land of the Decapolis, inhabited the region and it was known as the Land of the Seven. It was dominated by the devil. They worshipped fertility gods and themselves and it was considered a corrupt region. The Land of the Twelve; the Land of the Seven. With this in mind, let’s go back to the miracle now. In the Land of the Twelve where the descendants of Israel were, the 12 tribes of Israel, Jesus performed a miracle to the 5,000, which is actually 20,000, and he says, “Guys, I want to give you an object lesson here. Why don’t you go through the crowd and take baskets with you and fill them up.” They all filled the baskets up and you can imagine Peter is looking at John. John’s looking at Matthew. “Wow, we got a lot of baskets. How many baskets do we have?” 1, 2, 3, 4, 5, 6, 7, 8, 9, 10, 11, 12. Coincidence? I don’t think so. Then Jesus walks across and goes to the Land of the Seven, the Decapolis region, the Gentile region and he says, “You know what? We’re going to teach another object lesson as well. Why don’t you guys take baskets and pick up bread as well.” “Wow, we have baskets. Let me see. 1, 2, 3, 4, 5, 6, 7. Seven.” Coincidence? I don’t think so. What Jesus is saying, without saying in a very concrete way, that “not only am I the God who came save the Jewish people, but I’m also the God who came to save the Gentile pagans.” Without saying anything, that’s what He’s saying. Listen, we like French bread in New Orleans. French bread’s big, right? You can’t hide a piece of French bread, right? I mean, this thing is big. And it says they had a loaf in the boat. But then it says they began discussing with one another that they had no bread. How in the world do they have bread in the boat but then they don’t have bread? Listen, if I’m hungry, I can smell bread. Can you smell bread? How can you have bread in the boat but no bread? I think Mark is taking a short jab in saying that there’s one loaf of bread in the boat. It’s Jesus! Jesus is in the boat. He’s the bread of life. But you guys miss it! But that’s God’s been doing since the beginning of time. Exodus 16. He leads them into the wilderness and he sends bread from heaven as manna to feed them. It sustained them. It was life to them. They love bread. And then all of a sudden, it goes even further. In Matthew 4, Jesus said, “Man shall not live by [what?] bread alone, but by every word that comes from the mouth of God.” Jesus was constantly trying to teach them about bread. He feeds 5,000 with bread. He feeds 4,000 with bread. He says on one occasion, “I am the bread of life.” In fact, He was born in Bethlehem. I mean Bethlehem in the Hebrew—I’ve taught you this before—is two words: Beyt Lehem. Bethlehem. Beyt means house, lehem means what? Bread. Jesus was born in the house of the bread or, in essence, Jesus was born in a bread factory. To say all that to say this, “I am the sustainer of life. I am the source of all power. I am the nourishment for your soul.” And they missed it. But what’s even more amazing is this. With all the stories and instances and words of God in the Bible, there are people in here this morning that still miss it, right? My friends, let us never forget the supreme treasure that you and I have in the Lord Jesus Christ this morning. You know what the problem with all these three groups was? The Gentiles, the Pharisees, and even the disciples, you know what their problem was? They were blind. All of them were blind. And is it any wonder that the very next miracle is about a blind man? I mean, Jesus is always doing this. He states a theological truth and then he goes and finds a guy and he heals him. And I love this. Our good sometimes is for God’s glory all the time. Did you know that? And this man is the byproduct of that. What’s interesting is this: when you follow the Precept Inductive Bible Study method on this particular passage, you will notice there are repetitive words in the text. And when you start to see the repetitive words—in the English, we don’t get this—there are eight different words in this section for nine different possible words for eyes or seeing or vision in this one section. He uses eight different words to describe. Let’s underline them together. Look at it: “When Jesus spit on his eyes [underline that] and laid His hands on him, He asked him, ‘Do you see [underline that] anything?’ And he looked [underline that] up and said, ‘I see[underline that] but they look [another word, underline that] like trees.’ Then Jesus laid His hands on his eyes again and he opened [underline that] his sight was recovered [underline that] and he saw everything clearly. Just about every verb for seeing is used in this passage. The entire passage is about seeing. In fact, there are two different words used for eyes. In the first instance before he saw, the word for eye is amatta. In the second instance after he can see clearly, it’s the Greek word olphalmos, from which we get the word ophthalmology, which is for seeing. His eyes were perfectly restored. And then he uses the word at the end, he saw clearly, meaning he had perfect 20-20 vision. Now the question is, why is Jesus performing this miracle at this time? Jesus is contrasting the blindness of the Gentiles, the Pharisees, and the disciples with the blindness of this man. And then he partly heals him. Spits in his eyes, the guy opens his eyes. I don’t know if it’s the spit or what, but he can’t see right, right? He’s out of focus. And he’s looking around and Jesus says, “What do you see?” and he says, “Well, I see things, but I see men but they look like trees.” Now, don’t miss this. Jesus could have healed him in an instant. He didn’t have to spit on him. He didn’t have to touch him. He could have just thought it. He could have blinked and he’d be healed. 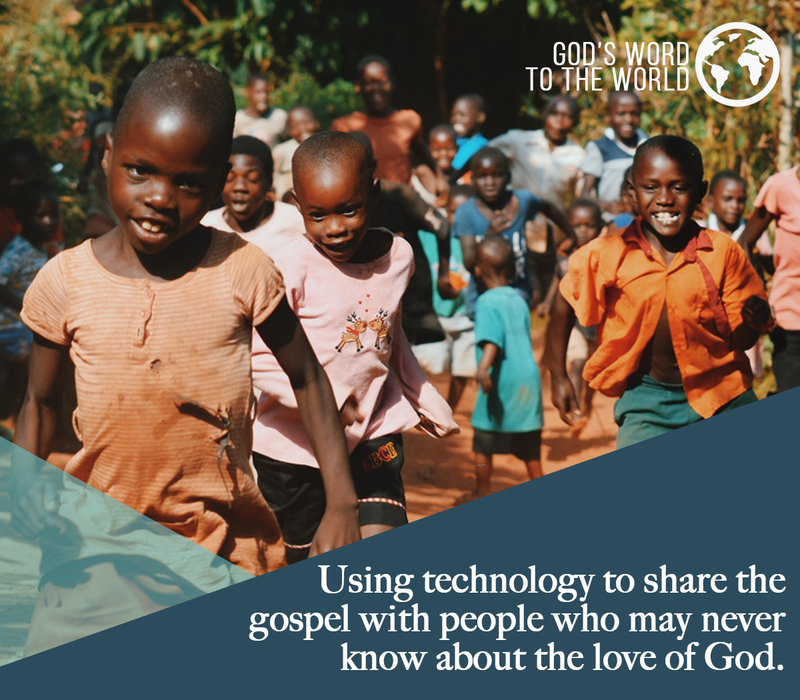 But Jesus is doing this for a reason, to show the disciples an amazing truth. This is the only time in scripture where Jesus has a two-part healing. Then after the guy says, “I can see but I see trees,” then He heals the guy perfectly. This is what Jesus is saying to the disciples. “That’s you! You see me but you can’t see me. You have eyes but you can’t see. You have ears but you can’t hear me.” That’s you in the text. You’re this blind guy. You know what’s even more amazing? There are some people in here this morning that are the same way when it comes to Jesus. One Sunday after preaching, I got in the car with my wife. I’d just married Kandi and we got in the car and I leaned over and I said, “Baby, I can’t see. I don’t think I can see people in the back row very clearly. I can’t really see them in the back row. I think I might need glasses.” She said, “Glasses! Why do you need to see people on the back row?” I said, “Because I’ve got to see if people are sleeping or not.” Just a side note, I have contacts. I can see everybody sleeping right now. Now that I have your attention, I went to the eye glass clinic and they sat me down in the chair and they showed me charts and they put the machine up, you know, how they focus in and they tune it in for you. And then I remembered just a few months ago, I went to the store in Chattanooga and the guy said, “Would you like your eyes dilated?” and I said, “Okay. I guess.” And he said, “We have to do this every couple of years. We dilate your eyes.” I said, “That’s no problem.” So I’m thinking we’ll just dilate the eyes and then I’ve got to run some errands. And so he dilates my eyes and I can’t see anything. And then he says, “Listen, I want to tell you something. The lights are dark in here. I’m going to turn the lights on.” And he said, “You’re going to have to wear these glasses for the next two to three hours.” These black blue blockers. Have you seen these things? I mean, these big old, obnoxious looking blue blockers. Well, the problem was, I was at Wal-Mart in Ooltewah and he didn’t realize this—I probably should have told him—but I had a list for dinner that I had to pick up in the Wal-Mart store for my wife to cook that night. I mean, this was a mission that had to be completed. So here I was—I just want to apologize in advance if you were there that day—here I was in Wal-Mart with these glasses. Then I said, “I’m not going to wear these glasses.” So I took these glasses off and I can’t see anything. I don’t know if I’m in the food section or the sporting goods section. And so—this is a true story—I got this list and I’m walking around and I called Kandi and I said, “This is wild. What if a church member sees me? They’re going to think their pastor is not polite. There’s probably somebody waving to me right now! I can’t even see them!” And so literally I filled the whole list out by asking some older ladies, “Do you know where the cream is? I can’t find the cream?” She said, “What are you talking about?” I said, “I can’t see.” And so I filled this whole list out. My eyes were completely out of focus. I’ll never forget when I went back to the doctor after getting the prescription and for the first time, I took those eyeglasses—I’d never worn glasses before—and I put those glasses on and for the first time, I could see clearly. And what’s interesting is I didn’t know how blind I was until I finally saw clearly for the first time. You ever been there before? When I saw clearly, it reminded me of how blind I was. You know, there are some of us in here today that are the same way. See, you don’t know how out of focus you are until you focus on Jesus. “Robby, now do I determine if I need to turn around?” Let’s ask ourselves a few questions this morning. The first one is this: Am I like the sensational seeking Gentiles, always looking for Jesus to do something for me? Am I like the sign seeking Pharisees, always looking for Jesus to prove something to me? “Jesus, you prove it and I’ll believe you.” Or, am I like the hard hearted disciples. God is working all around me but I don’t see the spiritual because I’m looking for the material. Is that you this morning? Maybe it is. This is what you do. If that’s you, one of those three instances this morning, first of all, you surrender your life to Christ. Whether for the first time or you’re coming back to Christ, you surrender to Christ and then you get into the Word of God. Friends, the only way we can see clearly a picture of who Christ is is through the Word. And what’s interesting is this. You and I, through the Word of God, can take the same journey that the disciples took. I would even say we can take a better journey. We can walk the same path. We can hear the same stories. We can learn the same instances. We can experience the same miracles but we have more than that because we have the whole Bible. We’ve got to get into the Word of God until the Word gets into us. Are you eyes out of focus this morning? Maybe they are. You need to get back into the Word.